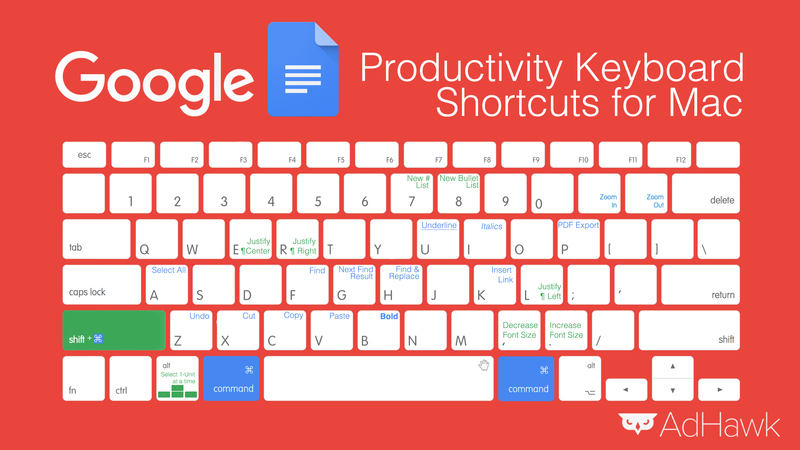 Kudos to Adhawk, who are kindly providing a handy print-outable map of Mac keyboard shortcuts for the increasingly popular Google Docs online word processor. If you use Google Docs then print out the sheet and put it on a wall nearby your desk, so you can learn shortcuts as time goes on. Click here to learn more, or click here to jump straight to the high-res graphic.